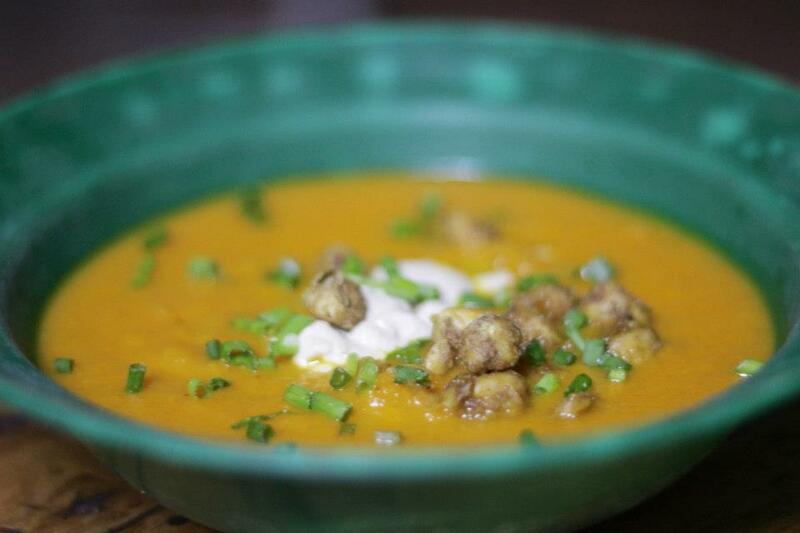 Last time Meredith came to visit with her fiance Rick, they made this amazing carrot soup from Smitten Kitchen. Soup, especially pureed soup, is not my favorite, but I couldn’t get enough of this one! My only suggestion is to make more of it. We didn’t have the means to make gluten free flat bread, so we served it instead with my favorite pre-made bread mix: Bob Red Mill’s GF Hearty Wholegrain Bread. 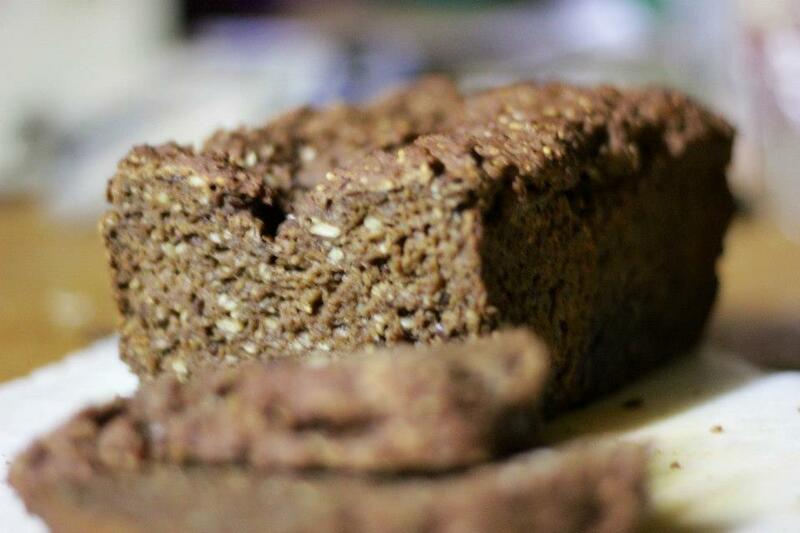 Note: the bread calls for 1 egg, but it comes out great if you use 1 tbsp of ground flax seeds mixed well with 3 tbsp of water. 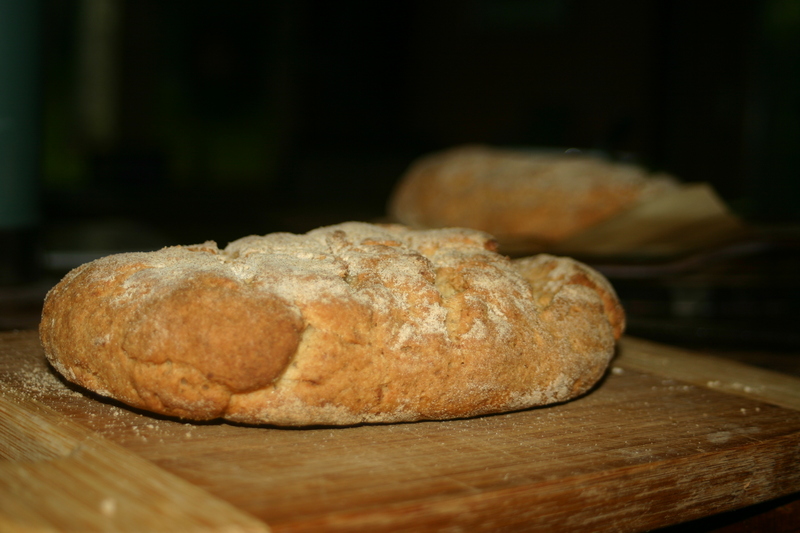 I jumped for joy when I found this amazing bread recipe! 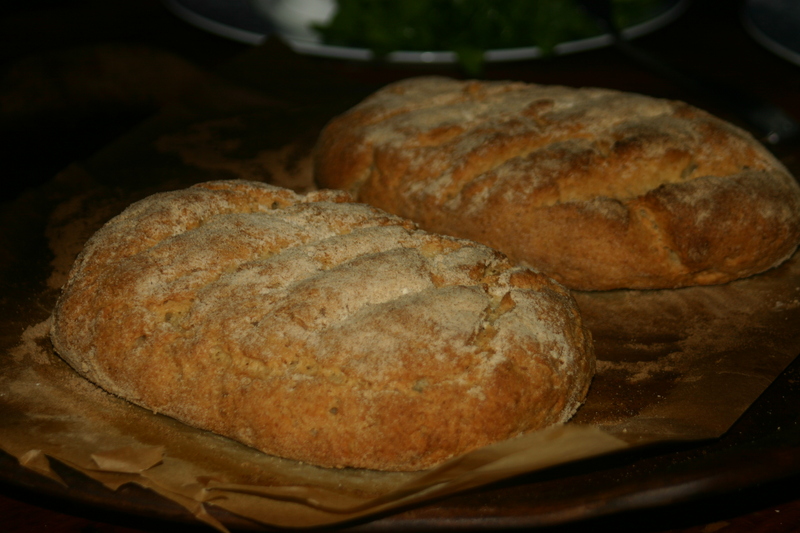 As you know, I’ve been searching for a good bread recipe, the kind you can serve to guests, for a little over a year now. Well finally here it is! Just be sure not to undercook it, because then it will come out doughy and not very tasty. I recommend eating fresh out of the oven with Earth Balance soy free butter spread. Craving some bread I decided to use this Pizza Crust recipe to make flat bread. This came out much better than expected, and even past the little sister test! This pizza crust is of course excellent for pizza, and much quicker than the other one I have listed on this blog. 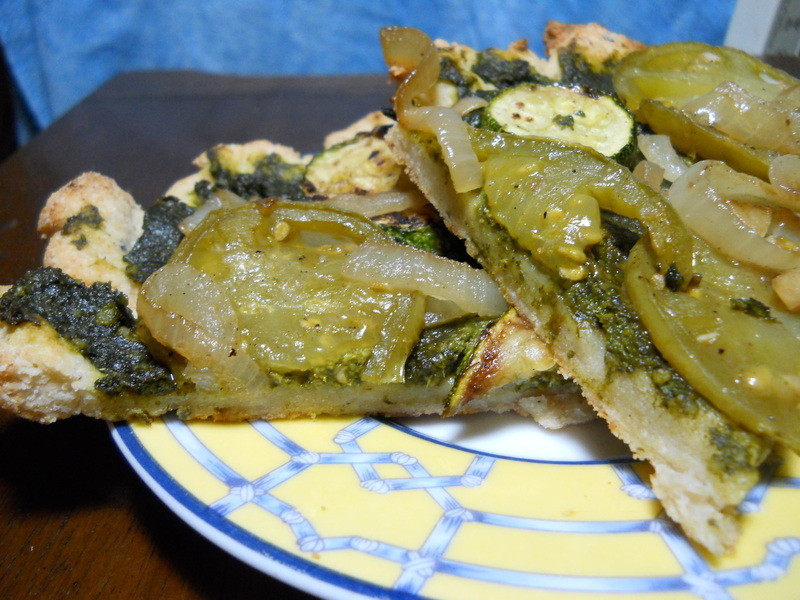 I can’t get over how good this crust is, not only quick and easy, but perfect taste! If you are using this as a flat bread, place lots of minced garlic in olive oil and blend. Instead of pizza toppings, lather pizza crust with olive oil garlic blend. 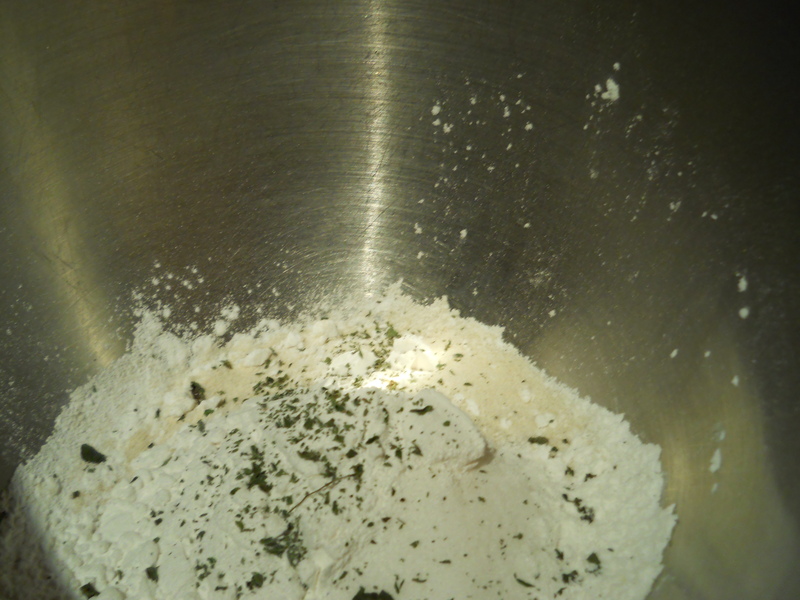 Optionally sprinkle with minced cilantro. Cook until done, about 10min at 350 degrees F.
This also makes a great naan substitute, and I used it to eat my squash daahl.